The second spin-off Pokémon game and the first game in the Pokémon Pinball series. It combines the pinball game style with the Pokémon world, offering an entertaining game, in which the player has to capture all the 151 Pokémon of the first generation, in whole new style. It is composed of two pinball boards, each unique features, mechanics and different sets of areas which are displayed as images on the board. Some of the areas can be selected at the start of the round, while others can only be reached during the game after certain criteria are met. In order to catch all the Pokémon in game, the player will have to go through all the stages in each board, as each of them has a set of unique catchable Pokémon. Moreover, some stages are only present on the Blue board while others can only be played on the Red one. Aside from catching Pokémon, the game does also allow the player to evolve them, after they hit a certain spot on the board, activating the evolution process. Pokémon Pinball was also released with a Rumble Pack, which rumbles whenever the ball hits certain objects on the board. Graphic wise, the game features a Poké Ball, as the ball used to strike, and it can be upgraded to different levels. 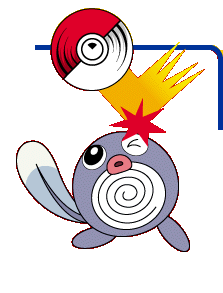 The Pokémon are also animated, and would interact with being hit with the Poké Ball. On the sound level, it has a mixture of music soundtracks from the other games or the anime series. Around three years after it's release, Pokémon Pinball would be succeeded by Pokémon Pinball: Ruby and Sapphire on the Game Boy Advance. Catch 'em all with a pinball! Discover a whole new way to collect Pokémon - by playing pinball! Hit the targets with your Poké Ball to catch and evolve Pokémon. The better you do, the more rare Pokémon you'll find! Every Pokémon you catch is automatically recorded in your Pokédex - see if you can catch all 150! Some Pokémon appear only on the Red Field or only on the Blue Field, so you'll have to play both to catch 'em all! The new Rumble feature makes you feel like you're playing a real pinball machine! Trade high scores with a friend using the built-in Infrared Communications Port (on Game Boy Color only). Print out your high scores with a Game Boy Printer (sold separately). Find the bonus stages to rack up a high score. Upgrade your Poké Ball to a Great Ball, Ultra Ball, or Master Ball and score even higher! Game Pak contains built in Rumble feature (one AAA battery included). All the 151 Pokémon from the first generation can be caught in the game and many others are also featured, whether in the Bonus Stages or as Pinball Bumpers. Cloyster: Activates the catching mode. Shellder: Used to flip the tiles from the Shadowy Pokémon silhouette, in catching mode. Slowpoke: Starts Evolution Mode, if all its three lights are lit. Voltorb: Used to flip the tiles from the Shadowy Pokémon image while catching mode is active. Bellsprout: Once it swallows the ball, the catching mode gets activated. Ditto: It blocks the evolution mode hole until the whole process is completed. Staryu: Toggles the Poké Ball upgrade lights. Diglett: Used to trigger the Map Move. Pikachu: Saves the ball from falling, rebounding it to the field. Catching Pokémon: A single Pokémon can be caught at a time. In order to activate the Catching Mode, by shooting the ball into Cloyster on the Blue Board and Bellsprout's mouth on the Red Board. With that done, a shadowed picture of a Pokémon will appear instead of the Area picture. Parts of the Pokémon picture will get more and more visible as the player hits the Voltorb on the Red Board, and the Shellder on the Blue Board. The full visible picture will turn into an actual Pokémon, which the player has to hit four times with the Pokémon to catch it. Evolving Pokémon: Same as the Catching process, only one Pokémon can be evolved at a time. The Evolution Mode will also be available only after a total of eight Pokémon were caught. To activate the Evolution Mode, the player will to pass the ball through the board parts, where three arrows are pointing. Passing the ball through there once will light one of the arrows. All three arrows has to be lit, which means the ball has to go through there three times. Once the Evolution Mode is activated, the player will select which Pokémon to evolve, and according to their evolution method, they'd have to hit certain objects on the board for an amount of times. If the Pokémon evolves with exp, the player has to hit the "Ex" tokens. If it evolves with a stone, they have to hit the respective stone. 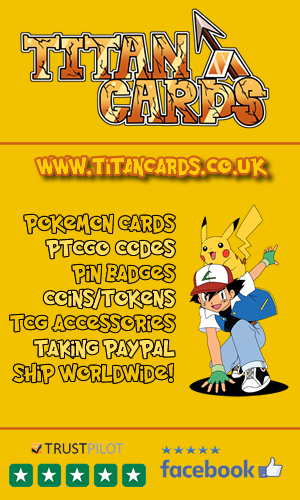 If it evolves through trade, they have to hit the Link Cable. After the needed object is hit enough times, a hole will appear in the middle of lower board part, and the ball has to be shot in there, finalizing the evolution process. Bonus Stages: There are three Poké Balls displayed on the screen. Catching a Pokémon will light one, every time, while evolving a Pokémon will light up two of them. If the player manages to light up all of the three, a hole in the middle will appear, taking the player to a Bonus Stage, if they shoot the ball through it. Completing a Bonus Stage will allow the player to unlocked the next one, if they light the Poké Balls again. There are three stages in total, on each board, with the final stage on both of the boards being the Mewtwo Stage. The Diglett and Gengar Bonus Stages are exclusive for the Red Board, while the Meowth and Seel Bonus Stages are exclusive for the Blue Board. The Meowth Bonus Stage: It's the first bonus stage on the Blue Board, with a time limit of one minute. The player here has to hit the moving Meowth with the ball. 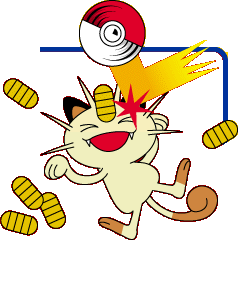 If hit, Meowth will drop coins the player can collect. When coins are collected, they'll appear on the top of the screen. Once 20 piles of coins are collected, the stage is completed. If the player loses the ball, four piles of coin will be removed from the coins collected, as a penalty, and they'll get a new ball. Failing to complete the stage, will just result in earning extra points. The Seel Bonus Stage: It's unlocked on the Blue Board after the Meowth one is completed, and has a time limit of a minute and a half. The player has to hit the swimming three Seels as they surface and show their heads. Each time a Seel is hit, a circle will appear on the top of the screen. Once 20 circles are collected, the stage will be completed. If the player loses the ball, they'll get a Penalty of four circles then get a new ball. The Diglett Bonus Stage: It is the first bonus stage of the Red Board, and has no time limits. The player has to hit all the Diglett on the screen, which will force a Dugtrio to appear. Hitting the Dugtrio three times will complete the stage. If the ball is lost, the stage ends as a failure. The Gengar Bonus Stage: It's the second bonus stage for the Red Board, unlocked after completing the Diglett one, and has a time limit of a minute and a half. 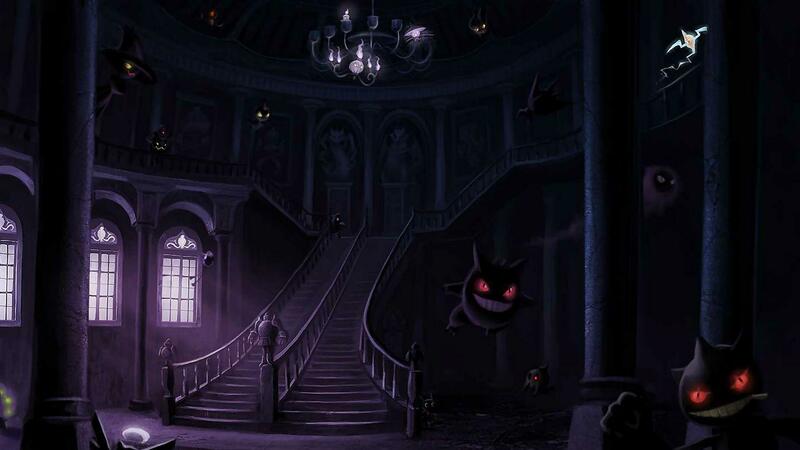 In order to complete the stage, first, the player will have to hit 10 Gastly, then 10 Haunter and finally, hit the Gengar that will appear five times. Losing the ball applies no penalty in this stage. The Mewtwo Bonus Stage: It's the final bonus stage on both boards and has a time limit of two minutes. To complete the stage the player has to hit the shadow orbs rotating near Mewtwo causing them to dissapear and hitting Mewtwo himself 25 times. The stage awards an insane amount of points, as hitting the orbs will earn the player 1,000,000 points and hitting Mewtwo will get them 50,000,000 points everytime. A trick to stack up a maximum amount of points is to hit Mewtwo up to 24 times then wait for the time limit and fail the stage. If the stage is failed, the player can re-access it, once they light the three Poké Balls again. Completing the stage on the other hand, will reset the stage cycle back to the first stage. Poké Ball Upgrade: Lighting up the three lights on the top of the board, will upgrade the Poké Ball, first, into a Super Ball, then, an Ultra Ball and finally, a Master Ball. If the ball is used to catch a Pokémon, the points earned will be multiplied depending on the upgrade, respectively, x 2, then x 3 and finally, x 5. If the player tries to upgrade the ball further when it is at the Master Ball level, they'll earn 10,000,000 Points. The Pokédex: The game features a Pokédex the player can access to see which Pokémon they caught so far, and which ones are still missing. It is very similar to the Pokédex present in the first generation Pokémon GB games. The Slot Machine: Hitting certain areas on the board will light up letters that spell out as "CAVE", activating the Slot Machine that will provide a variety of bonuses. Check out these Pokemon Pinball videos including TV commercials from various regions plus the trailer. The stamped letters on the Poké Balls do not match their actual names. An "S" that stands for "Super" is stamped on the Great Ball, while an "H" that stands for "Hyper" is stamped on the Ultra Ball. Mew is the rarest Pokémon in game as its encounter requires a tremendous amount of effort. After completing the Mewtwo stage twice, there's a 1/16 chance to encounter Mew on the Indigo Plateau location. Once encountered Mew will be automatically added to the Pokédex, as if it were captured, since its actual capture requires hitting it 1024 times with the Poké Ball, which is nearly impossible. The Pokédex in Pokémon Pinball is very similar to the one in Pokémon Red and Pokémon Blue. There is an unused board that wasn't featured in the game when it was released, along with two hidden logos. There are two locations in the game that were actually misspelled. One is Rock Mountains, which is originally Rock Tunnel, and other Fuchia City which is noramlly Fuchsia City. Same as the classic Pokémon Games, Pokémon Pinball realized some great sales, earning the title of one of the best selling games in its genre. The game sold around 1.01 million copies in Japan, 1.12 million in Europe and 3.02 million ones in North America, hitting an astonishing total number of 5.31 million copies sold globally. Craig Harris from IGN really liked the game stating " It's a great title to just kick back and play for a few sessions, and makes for one of those "Just one more time" Game Boy titles", and rating it 8/10, the equivalent of "Great" on their scale. Cameron Davis also liked the simple style of the game, that featured the genre perfectly in a fun and unique way, calling it "one of the best pinball games on the machine" and rating the game 8.7/10, which equates to "Great" on the GS scale. On GameRankigs, Pokémon Pinball earned a very high score of 81.73%, over 11, which is one the highest scores the Pokémon Games earned. 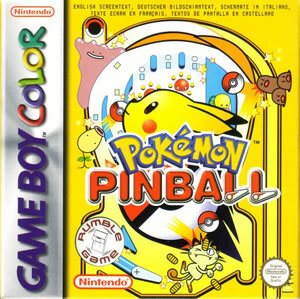 Overall, the game successfully portrays the Pinball genre, while smoothly combining it with the Pokémon world, Making Pokémon Pinball the perfect game for any Pokémon fan that also enjoys pinball.